The release of Samsung Galaxy Note 3 has been confirmed, which is stated to happen on September 4, two days before IFA 2013 in Berlin, Germany. As one of the most-watched smart phones in the second half of 2013, Samsung Galaxy Note 3 does become a heated topic around the globe. So today we rounded up the specific information leaked on the web to unveil what Samsung Galaxy Note 3 will look like for you. Samsung said it will roll out 3GB RAM in devices in near future 'starting with the highest specification smart phone, most likely mounted on high-end smart phones.' Accordingly, Samsung’s next generation – Galaxy Note 3 would be the first device with 3GB RAM. 3GB RAM will make Galaxy Note 3 run faster. Samsung has also recently announced that Samsung Galaxy Note 3 is powered by Snapdragon 800 processor or Exyos Octa-Core Processor, depending on which country you are in. ‘Qualcomm's latest Snapdragon 800 series quad-core chipset would be adopted to support LTE-Advanced network connectivity which enables the Smartphone to transfer data twice the speed than the current 4G network.’ revealed by MK News. Now sources are claiming that Samsung Galaxy Note 3 will be Samsung’s most powerful Smartphone, literally, as it will be running on a 3450 mAh battery. Samsung GALAXY Note 2 included a 3100mAh cell which means that the new battery offers an 11% improvement in capacity. Compared with a 2200 mAh battery of Moto X and 3000 mAh of LG G2, Samsung Galaxy Note 3 owns the longer battery life powering your device. Thus, you can enjoy your movie time and games for longer period. According to the 5.3 inch screen of Galaxy note 1 and 5.5 inch screen of Galaxy note 2, the Galaxy Note 3 is expected to have a bigger display screen with full HD 1080p resolution. However, recent source announced that Samsung Galaxy Note 3 will be a 1080p Super AMOLED screen anywhere between 5.7 to 6-inches in size, which will be a disappointment for a great deal of people. ‘I would be happy with a 6-inch display but not a 5.7-inch. Samsung is missing the point here if they go that small while the competition is going much bigger, especially after they started it all with the Note.’ said by some respondents. 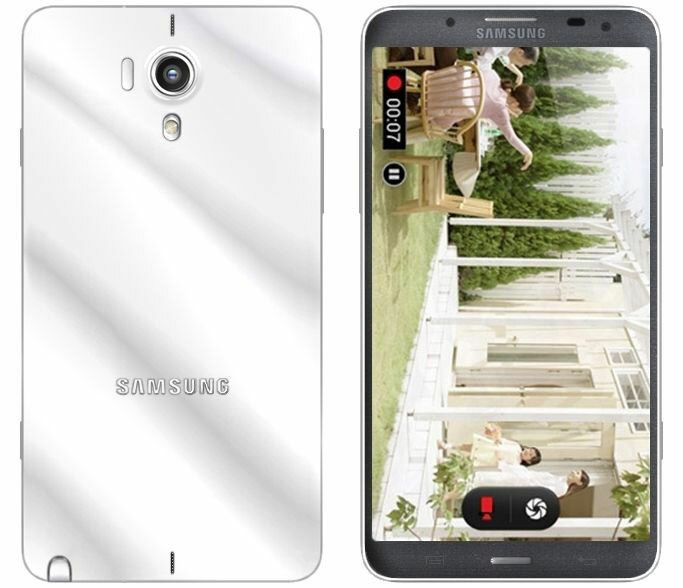 How to Convert Video Optimized for Your Samsung Galaxy Note Device? Nowadays more and more people tend to use smartphone with large screen size to watch videos than even before. Indeed, a big display screen with full HD resolution will give you more pleasing movie experience. But the few formats smartphones support will hold you back to enjoy your videos freely. So you need a good tool to help you out. Here we will use WonderFox DVD Video Converter to convert video optimized for Samsung Galaxy Note Device. 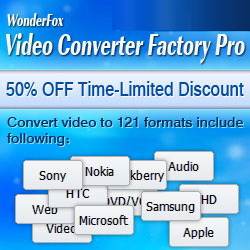 Download WonderFox DVD Video Converter and run it first. Click “Add Video” to import video you would like to convert for playback on portable device, such as Samsung Galaxy Note device and Apple devices. If you want to clip, crop and add effects to your video, click “Edit” button to jump to editing interface. Select the output format or portable device icon you need. You also can choose the output folder you want to store the output files. Press “Run” button to start converting videos to Samsung Galaxy Note device you have. After conversion, you can easily find your output video by clicking “Open Folder”. Then you can enjoy any video or movie on the go effortlessly. If you have a great deal of DVD collection and want to convert them for playback on Samsung devices, click here to learn more how to rip DVDs to Samsung devices.